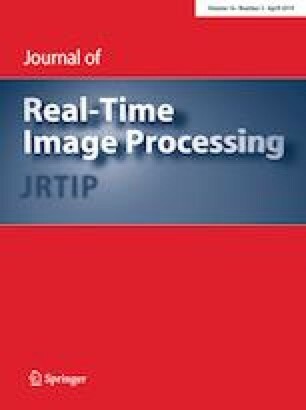 This paper describes a novel fast 3D filtering technique for enhancement of color video sequences using digital paths created on the image grid extended to a spatio-temporal domain. Numerous modifications improved impulsive noise filtering efficiency and cope with video artifacts such as Gaussian, impulsive and grain noise and still preserves and even enhances edges. It can even remove block compression artifacts and video flickering. Simulations show that it performs well under PSNR and SSIM metrics. It gives particularly good results for mixed Gaussian and impulse noise—PSNR is approximately 3 dB better than VMF3D and my previous spatial filters. The new algorithm allows video processing in real time for low resolution images; in the preliminary simulations, the processing rate of over 50 fps for the CIF (CIF standard: 352 \(\times\) 288 pixel) video sequences was obtained. This work was supported by the Polish National Science Center (NCN) under the Grant: DEC-2012/05/B/ST6/03428.